Northumberland County Council speak about the partnership approach to the £26m Morpeth Flood Alleviation Scheme and how their £12 million contribution has helped deliver the ambitious project. 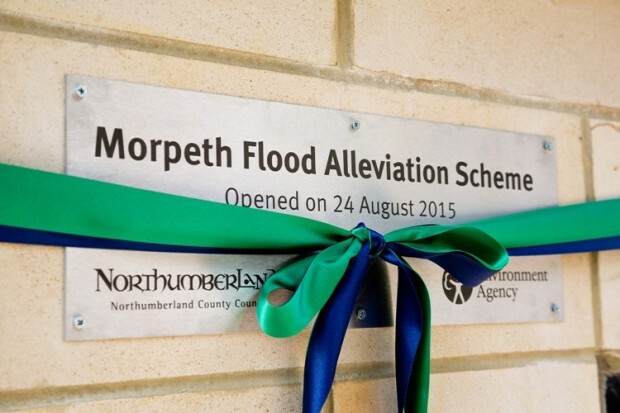 It’s the first time a major scheme to reduce the risk of flooding to homes and businesses has been jointly delivered by the Environment Agency and a local council in the North East. The events in Morpeth of September 2008 will be etched in the memories of all of us who lived or worked in Morpeth for many years to come. We all remember clearly the devastation caused by the widespread flooding, which saw more than 1,000 properties flooded in the town and families forced out of their homes for many months. It was obvious something had to be done to prevent a disaster like this happening again. The Environment Agency had already been planning a flood alleviation scheme in Morpeth prior to 2008 which needed a lot of detailed design work and technical development. However it became clear in 2011 that central government funding was not able to fully cover the cost of this ambitious project. That’s when we as a council stepped in with a £12m contribution. When the decision on whether to support this came to full council, it was the first time some members recalled unanimous backing from every single councillor from all parties. That’s how vital this scheme was – not just for Morpeth residents but strategically as a key market town in the county and the wider economy. Without this partnership approach it wouldn't have gone ahead and communities would still be at risk of flooding today. 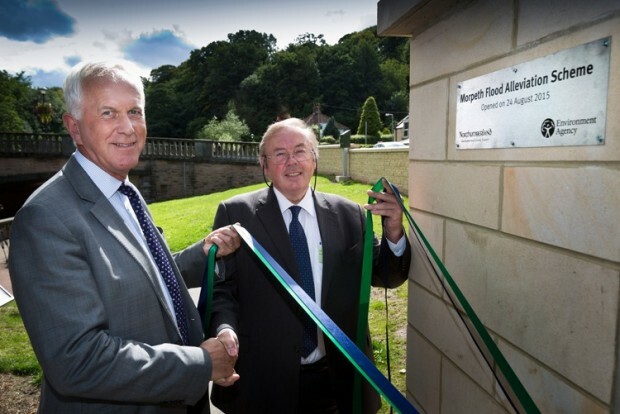 A key feature throughout has been close working and cooperation between professional partners and also the community, including the Town Council and Morpeth Flood Action Group, who have all worked together to bring about the finished scheme. 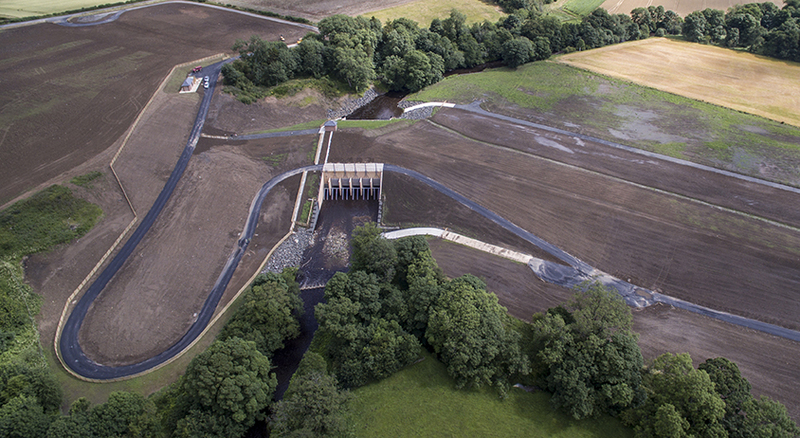 It is testament to the hard work and cooperation of all involved and it is fantastic to see the work now complete and the town of Morpeth protected for future generations. This has been recognised at the highest levels as an innovative example of partnership working and the scheme has now been shortlisted for a national planning award. It is also one of those projects which, while it would be good to see it in use in a real-life flooding situation, we hope in reality we never need for many, many years!